Google has been employing some major changes lately, most recent of which is the implementation of Accelerated Mobile Pages (AMP). As Rebecca Sentance of Search Engine Watch describes, AMP is a “stripped-down version of the mobile web which runs on a reinvented version of the language used to create web pages: HTML.” Basically, the goal of the AMP project is the enhancement of mobile web usage since increasing amounts of people utilize the Internet from their mobile devices. Since Google is such an influential business model, often the company is able to successfully create the standards for certain aspects of the Internet and search engine usage that the world then strives to follow. AMP is no exception as more companies acknowledge a growing mobile audience. The major benefit for Accelerated Mobile Pages is the load speed. According to Search Engine Watch, the AMP pages load 15-85% faster than the non-AMP pages. As technology becomes more immediate and search results answer our questions spontaneously, any search result lag time leads to considerable losses in the amount of visitors to a page. These Accelerated Mobile Pages should therefore attract more visitors in the end. What does AMP mean for search rankings? About a year ago, Search Engine Watch explained Google’s “Mobilegeddon” or prioritizing of search results. 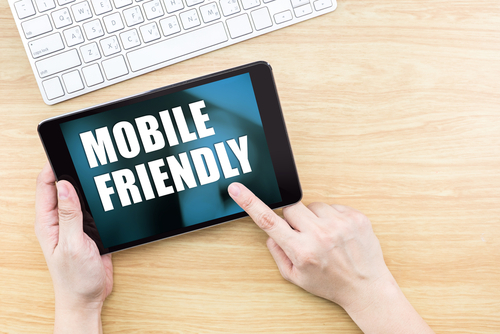 Those pages that are more mobile-friendly are shown higher up in Google’s search results. 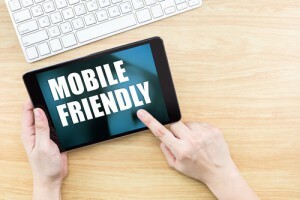 This in turn means that pages presented as Accelerated Mobile Pages will automatically be boosted in the search rankings due to their focus on the mobile user experience. What does AMP mean for advertising? Faster load times = more page views = more ad impressions. As with any form of advertising, marketers strive to be on the frontlines of new trends that promise to reach a target audience. Technology standards behind common marketing and advertising techniques constantly change in relation to devices used to cater to the overall user experience. Ultimately, Accelerated Mobile Pages represent this new and streamlined trend; it’s a method of simplifying the mobile search process by decreasing load time, boosting search rankings, and increasing page and ad views.